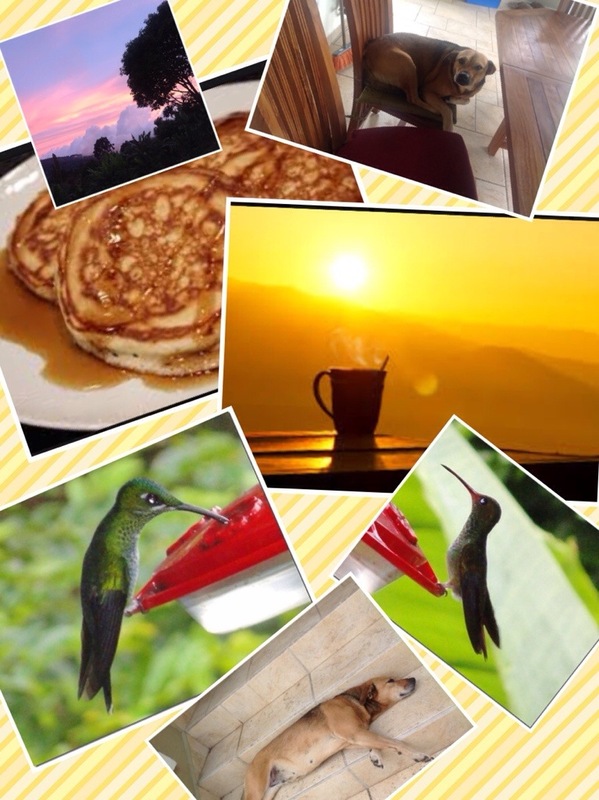 June | 2014 | Let The Adventure "Continue"! That illusive residency visa may be in our hot little hands soon! As I sit at the dining room table and gaze outside at the gray, breezy morning. I’m trying to decide what to write about today. So many different things come to mind. I just returned from running a few errands and can’t help but think about how much easier it’s become to get things done. Not that anything in Boquete has changed, but I can feel myself changing. My perspective is changing and I notice some things that, in the early days of living here, seemed a little complicated or frustrating, are just my new ‘normal’. Does that make sense? I’ve done something extraordinary! Extraordinarily uncharacteristic for Holly, that is. Not Actually, something that anyone but me will think is so special or strange or amazing or stunning or CRAZY FANTASTIC… okay but, maybe those who know me well will understand! Are you dying of curiosity? Well….I made a PIE! 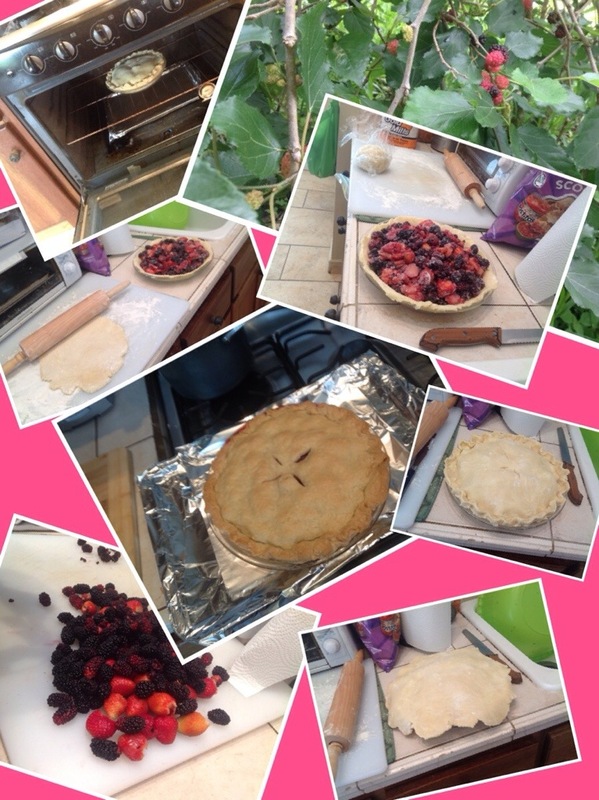 Yep, you read that right…I actually baked a homemade pie…from Scratch! Crust and all! Yes!! I really did! Who knew I had it in me? Well, certainly not me, I’ve never even wanted to bake a pie…it’s just not something that ever even occurred to me to even attempt. I mean, other people like to bake and to make pies and treats but not me. I’m the one who keeps all those Frozen food companies in business! I used to frequent that area of the grocery store, in the day’s before Scott. And now, what’s happening to me? I mean, sheeesh! I’m baking now? HUMPH! 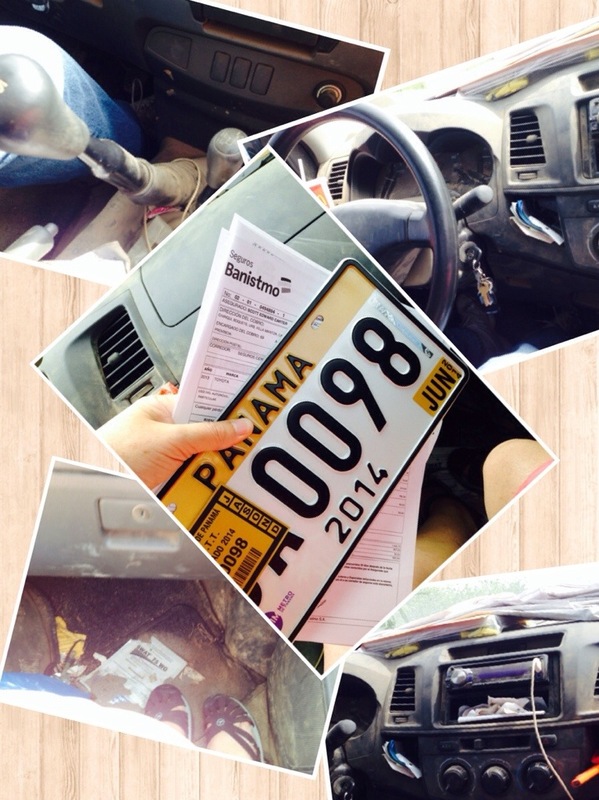 Learning the In’s & Out’s of renewing our car registration…. Scott and I really do love hosting casual gatherings and last night (Well, Sunday night) was the second gathering in our ‘partly’ built casita. We wanted to have a small “Happy Hour” and just have a couple friends who wanted to see the progress and celebrate our new home with us. When we hatched this plan we had two couples in mind but somehow before we knew it, more and more couples came to mind. Suddenly that ‘small Happy Hour” became a party of 15… “Whowsa!” She say’s with a huge smile on her happy face! As I’ve probably mentioned from time to time, this whole “domesticity” thing is new for me. So I’ve never been the “Laundress from Heaven”, far from it. I’ve ruined my fair share of clothes and Yes, Scott has occasionally had to live with pink underwear that some how ended up in the wrong load of colors. I personally think he looks very manly in Pink, but he’s not so sure! Pffffft! And shrinking things….can you see my eyes rolling now? Yes, I have a habit hence a dread now, of shrinking my clothes! Consequently I hate using the dryer and I almost always use cold water, except for Scott’s filthy work clothes…those need to be BOILED or maybe even tossed each night into the trash!! Hah! For all my clothes I mostly like to air dry them. So I hang my clothes wherever I can find a place to hang them. Here’s where my norma M.O. has run into a snag….it’s a bit more humid here than I’m used to. Gulp! Have you ever smelled mildewed clothes? Well, Um…I’ve got a little problem…My clothes all smell kinda…..Oh hell…. terrible! They just don’t dry nearly as fast as they did hanging in my bathroom in California. 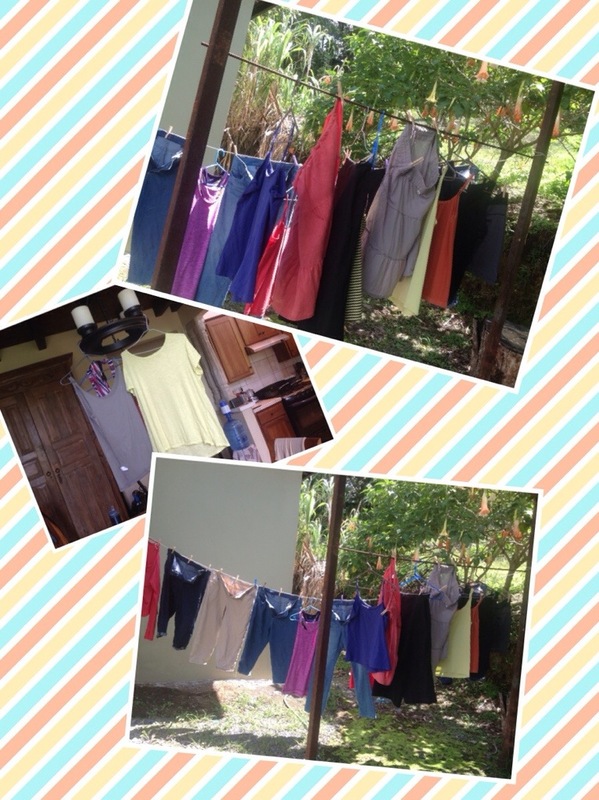 And apparently when you let wet clothes hang to dry for three or four days, well, lets just say, yuck! There’s no fresh clean smell commin’ from my freshly washed clothes, that’s for sure. I do believe I have a mildew problem. Sooooo back into the washer goes my laundry and a new plan has been put into action. I noticed a little rope hanging outside with some clothespins on it…Hmmmmm…could that be a better place to let my clean laundry hang to dry? Of course, its the rainy season up here in Boquete. And that means that everyday, usually anywhere between 2 to about 3ish, it rains like crazy! But the early part of the day is just as sunny and warm as can be. And theres always a nice breeze. Which means I’ve gotta keep a close eye on the weather outside. So today I’ve got my clothes drying outside but this means I need to be on top of it and make sure I grab them and bring them all inside soon, right now its 2:45 and I can see the sky beginning to get a little grey. Probably a good idea to go out there and see if my formerly smelly, mildewy clothes are dry. This has been my newest, and rather critical new housekeeping lesson…how to clean my clothes and not let them get mildewy. I got this! Humph! Learning something new everyday! That Scott…He’s Quite The Mulit tasker! I’m up at the job site everyday at lunchtime. I love to walk a round and see what’s new from the day before and what they are working on that day. It’s usually a flurry of action. Guys working on so many different things, my head sometimes spins wondering how Scott keeps a handle on all the projects that are going on all at the same time. 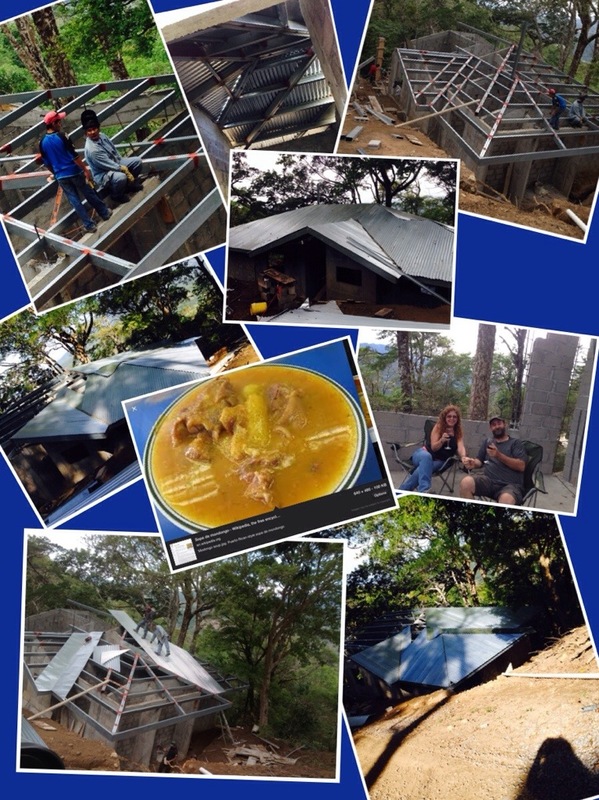 Richie and Ricardo have been installng the gutters and Javier and Federico have been working on the repello inside, while Arquiles and Leo were working on the septic system down the hill from the casita and edgar was assisting them. It’s been some time since I’ve celebrated Father’s Day. My Dad’s been gone for twenty years. He left us way too soon, he was only 47 years old. My age, give or take, sigh. I was 28 when you left Dad. You meant the world to me. Because you came into my life when I was about 4 or five years old some would label you as my “step-Dad”, but I beg to differ. You were my Dad. The only Dad I ever wanted or needed. I can remember when my mom brought you to meet me and Rora. I remember sitting on your lap and I remember you doing a trick where you took off your thumb. You adored me from the very start, and the feeling was mutual. You loved being a father. I always felt loved, adored, cared about and safe with you around. You gave me advice, you were very protective of me, you punished me when I needed to be punished and you rewarded me when I made you proud. And you were always so proud of us. You deserved that pride. You taught me so much. You taught me manners, how to behave in a fancy restaurant, honesty, integrity, you taught me how to embrace my creativity. I watched you express your creativity all the time. You loved to decorated the house, you were always redecorating something. Making valances for the windows or wallpapering or rearranging furniture. I remember you surprising me with a newly decorated bedroom when I was about 10 or 12, new furniture and drapes with a matching comforter on the bed. I remember when Rora wanted a canopy bed and you surprised her with that. You loved surprising us. You loved seeing us happy and you especially loved spoiling us (me, Rora and Mom) rotten. You taught me to be generous and kind and to express my love and to always always laugh. I think the single most “stand out” thing that everyone who knew you will never forget is your sense of humor! No one, and I mean No one ever got more satisfaction from embarrassing people and making people laugh! You never ever tired of finding the humor in life. I can hear that loud all encompassing chuckle! Hah! Makes me smile just to think of it! What a joker you were. I have endless memories of being embarrassed as an adolescent! And underneath all the eye rolling and yelling I did while being embarrassed….I would be smiling inside, trying like hell not to let you know that I loved it! I was so proud of you. You were so handsome and so cool and so talented and successful and you were so fun to have around. All my friends thought you were so great! Even when your antics affected them, they just couldn’t believe how funny you were. None of their dads behaved like you! You were crazy! And I was proud of you. All my girlfriends liked being at our house because you were always so fun. I miss you so much. I often think about how badly I wish you and Scott could have met. My sweet quiet man would not have known what to think of you Dad! Hah! And I don’t think Mariah would ever want you out of her sight! She loves to hear stories of how you would totally embarrass me in public. And she wishes you could have embarrassed her. Oh Dad, how I miss you and wish everyday that you were here. I would trade anything just to have you back. But life doesn’t work like that. And so, I am just grateful to have had you as my Dad! You came into my life when I needed you most and embraced me with love and adoration and cherished me and made me feel loved. And I hope you felt my love right back. One thing that I know to be true, even now in my life, Family is not defined by blood but simply by love and love was the most precious gift you ever gave to me. You stood by my side during some of the most crucial times and guided and directed me while offering support and unending devotion. I may not be able to spend the day with you Dad, but just writing these words makes me feel as though I’ve celebrated Father’s Day and given you a gift. I miss you everyday but I know you’ll always be with me. And, I’m certain your wishing you could do something from up there to embarrass me! Hah! Happy Father’s Day Dad…….. Happy Birthday to my best friend! He’s finally the same age as me and cant call me the ‘old’ lady anymore! For six whole months he loves to point out that I’m older than him and today is the day that nonsense comes to a halt! HUMPH! We’re spending two nights at Boca Chica. We were here in April for Easter but we stayed at a different hotel last time. I tried to get reservations at the same place, Seagull Cove Lodge, but they were booked. So I found this one , it’s called Bocas Del Mar. And what a nice place it is. It’s actually very near the other place and we both agree we like them both. It’s really nice to have a place like this to visit, it’s only about an hour and forty five minutes from Boquete which makes it a very easy place to get to for a weekend away. For my friends who don’t know, this wonderful spot is on the Pacific side of Panama. The Gulf Of Chiriqui is a beautiful area to visit, although , for us, it’s a bit hot! Today we plan to have them prepare a picnic lunch for us and we’ll take out one of their kayaks and paddle over to one of the nearby islands to relax and read for the day. Last time we were here we paddled over there and discovered a lovely little beach with lots of shade trees and not a soul around. We’ll bring out kindles and just have a lazy afternoon, we might even bring a bottle of wine along….who am I kidding “Might?” Hah! We’ll definitely bring a bottle of wine along! 🙂 Yesterday when we arrived and were having lunch in the restaurant here at the hotel, I told the proprietor who we were chatting with, that today was going to be Scotts birthday. This is something I do every year, which My Sweet, quiet guy just hates with a passion and which I could care less how much he hates it! (said with an evil smile!) Because I made that announcement (lovingly, I may add!) to the management, she said she would instruct the kitchen to prepare him a cake tonight! Hah! So, to his horror, and my delight, I’m certain he’ll get sung to this evening and all will get to celebrate his special day. It really is a special day to me, because it marks the day that my most favorite person came into this world! That, and the fact that he can finally put a lid on that ,”your older than me crap!” hah!!! 🙂 Happy Birthday My Love!! This morning I went to the Volcancito Mission with my friend and head knitter in Boquete. 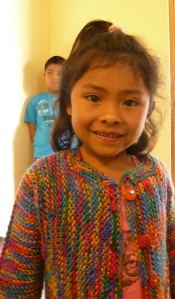 She was delivering over 100 knitted articles, from blankets to booties. She organized a group to do this, which originally was made up of expats. 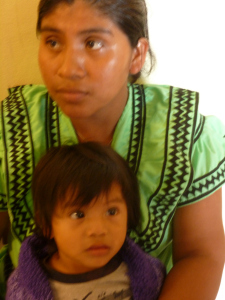 Now it includes Panamanian and indigenous women – learning a skill and building their self-esteem. This group does not get a lot of attention in the community. Their fundraising has been limited. But the ‘jefa’ of the group, Brandy, is about to change that. I went to the mission with her today to take pictures of the children who get the caps, sweaters and blankets her group knits. The children (or their moms) were waiting to be seen by a doctor. The kids were absolutely adorable. When a sweater was brought to them to try on, their eyes just lit up. 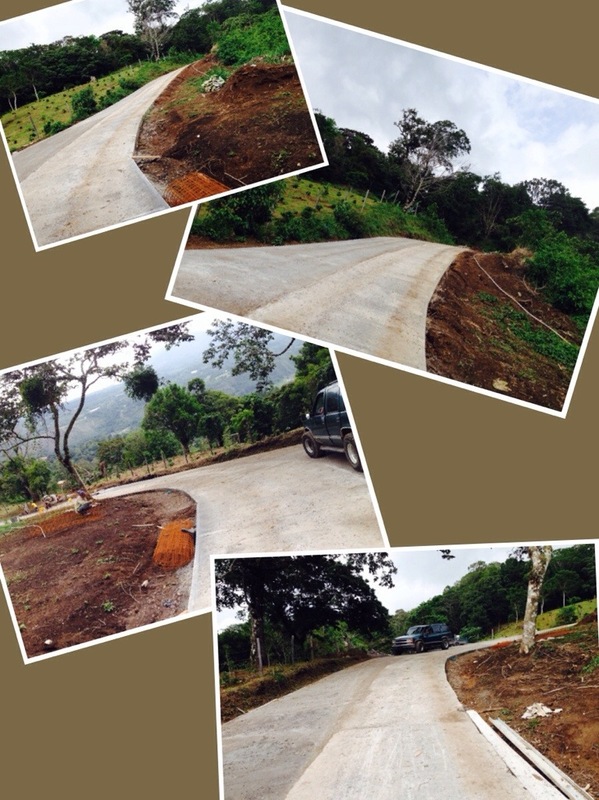 A new road to our property! Yippee! A Party For The Roof! Today is a first for us… Celebrating the completion of a brand new roof! We had no such celebration when we built our house in Los Altos. 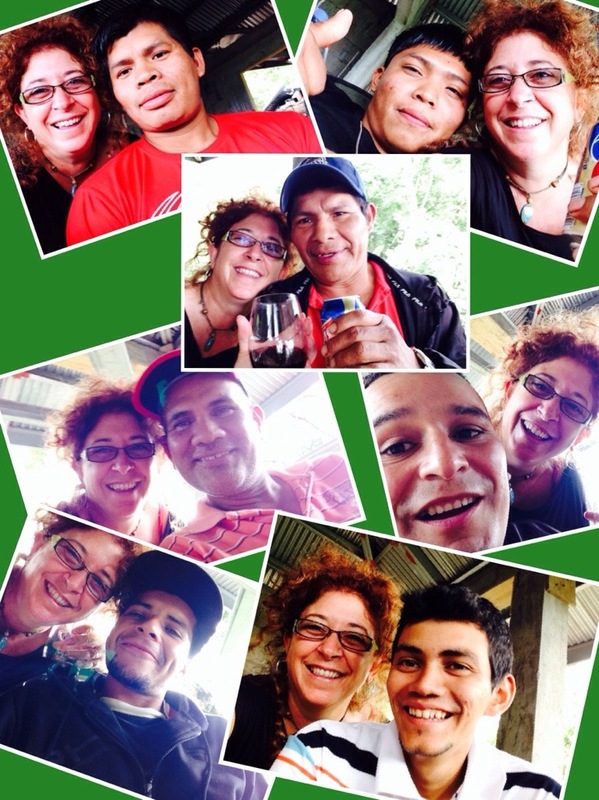 These Panamanians just love to celebrate and they seem to find any excuse for a Fiesta! This is just one small thing that I love about living here in Central America. Scott & I fit in just fine here, we too love a party! Although, truth be told, I could do without the Cow stomach soup! This could have fit in nicely for our Halloween Parties thought! Hah! Actually, I jest, I also really love the fact that they not only have a traditional celebration for a new roof, but a traditional dish to serve for the celebration! We too have certain dishes that are often reserved for celebrations, Turkey for Thanksgiving, Ham for Easter, and Hamburgers and Hot dogs for the 4th of July. So who's to say a little cow stomach soup is so odd for celebrating a shiny new roof! I'm really excited to do something special for our 7 workers who show up 6 days a week and work side by side with Scott to build our new home.